Sharrons Event Catering Company’s mission is to be the premier Events Catering Company for Children’s party food and Children’s party planning in your area. We specialize in Children’s party food and Children’s party planning for all of London and the south east of England including, Essex, Hertfordshire, Kent and surrounding areas. Our event planning team have worked with children for the last 20 years and we understand what makes a great kids party. We provide an exclusive service for busy parents who require assistance in Children’s party food and Children’s party planning; we will certainly plan a great party for you and your children. Even the smallest parties require careful planning and co-ordination. Our capable Children’s Events team looks after all aspects of each event, from suggesting examples of children’s party food and Children’s party theme to arranging entertainment and party bags. In fact Sharrons Event Catering Company can assist you in all aspects of your catering for Children’s parties and Children’s party planning; from small parties to large events, we will exceed your expectations! You only get one chance to create that Wow Factor at your party. Try a little bit of everything with our fabulous pick and mix bespoke candy bars for birthdays, weddings and parties. We have something to suit everyone from retro sweets to Colour themed sweet tables. Just let us know your favourite sweets and we’ll create a fabulous looking table using the sweets you love! Available to hire individually or as a package, our Popcorn machine and Candy floss machine can provide the finishing touches to your event and some great fun food for your guests. The Popcorn Machine is supplied complete with corn, cones and all other consumables required for the agreed number of portions. The candy floss Machine is supplied with the ready to use mixture and either serving sticks or plastic bags depending on your preference. Candy floss is available in the normal Pink Vanilla and if you wish we can supply attendants to serve either or both popcorn and candy floss. Over time our Event team has researched and sourced all the best children’s party services to ensure a wonderful and hassle-free event and to give a personal and professional service to all, from conception to completion. We can provide the complete party package which we will co-ordinate to the theme of your child’s party and include themed party loot bags, balloons & tableware plus fantastic party food. 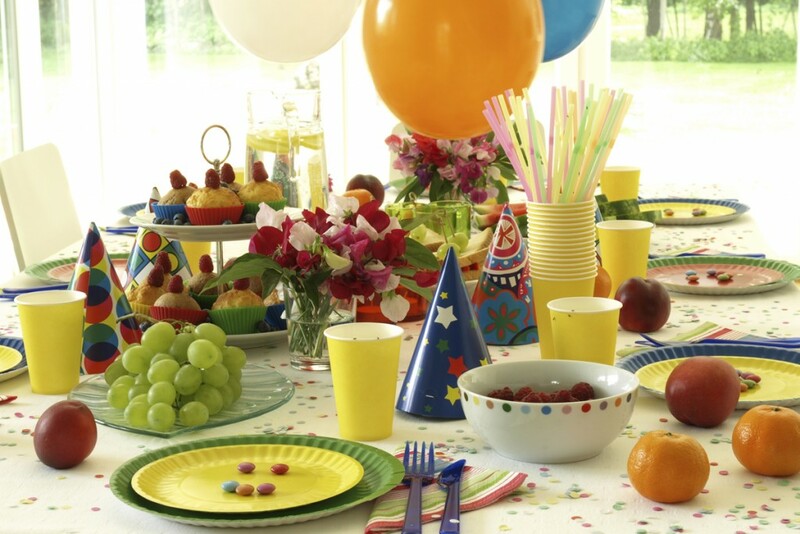 If you prefer we can simply supply your children’s party food on a lay and leave basis where we deliver and present your Children’s party food on the relevant serving dishes including cutlery and napkins so that your kids can help themselves, leaving you to enjoy the party atmosphere. We can also provide you with a fully staffed service. Our friendly Party Assistants will set out your venue tables and chairs and kids food. We can also provide all necessary tables, chairs, table cloths and tableware as required. All party assistants are charged per hour, which would include one hour before the party to set up and half hour after to clear up. We can provide a decoration pack which includes table wear, cups, plates, posters and approx. 20 helium balloons all themed to your Childs special requirements. We understand that all children love to take home a party bag. We can take all the hard work away from you and supply a party bag to remember. Each bag contains: One balloon, one sweet parcel, one toy or gift, two fun gifts such as bubbles, bracelets, necklace, cars, marbles, etc. or why not give a teddy in a bag. Sharrons Event Catering Company have a great list of entertainers including Magicians, face painters, puppet shows or Pop party discos for you to choose from or you can go with the traditional party games, like musical chairs, pass the parcel etc. and to make things easier for you we can supply the prizes for your games, Examples of entertainment we provide are as follows:- Face Painters, Puppet Shows, Pop Party Disco, Magicians, Entertainers, Character guest appearance, Hair and Make-up parties, Piñata. Our children’s party event manager will provide a choice of children’s party food from our Children’s party food selection of Savoury Snacks and sandwich platters along with a selection of cakes and pastries. We will also supply you with a traditional sponge cake, themed to match your child’s party and a Parents Buffet for your guest’s parents if required. If you are having a children’s party or events in London and the south east of England including, Essex, Hertfordshire, Kent and surrounding areas. No matter the size of your children’s party, how simple or complex your requirement, please do call or email Sharrons Event Catering Company’s friendly Children’s event team to discuss your requirements.